How to be successful on the social web? Be useful and helpful to others. Few people epitomize this principle better than veteran internet marketer, Tamar Weinberg. I remember some of my first interactions with Tamar years ago, involving her making sure I had all my questions answered about something I posted on IM. Tamar has blogged about search and social media marketing at 10e20, Search Engine Roundtable, Mashable and many other high profile web sites. A prolific and extremely hard working blogger, social media marketer and techie at heart, Tamar is also a “super user” of the social web. That firsthand knowledge of how to listen, engage and promote is clearly evident in her new book, The New Community Rules: Marketing on the Social Web“, published by O’Reilly. When I was in college studying abroad, I found my “Let’s Go Europe” guide to be priceless for getting a foundation of information about the cities and cultures I would be visiting. 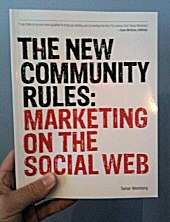 With that perspective, The New Community Rules is a great “Let’s Go Social Web” guide for companies and individuals seeking to better understand the various aspects of social media, sites, tools, and rules of engagement. Using numerous examples, the rest of the book emphasizes specific social media including blogs, microblogging (Twitter), social networks, consumer generated media sites, social news, social bookmarking and shared media sites (images, video, podcasts). The final chapter wraps things up with practical advice on putting it all together with process/workflow and thinking outside the social media box. I think what readers will find expecially useful is the straightforward and example rich approach Tamar takes in explaining how companies and individuals can succeed towards marketing goals through thoughtful participation. Getting advice from someone who has “been there, done that’ can save a substantial amount of resources, money and shorten the time to get up to speed. 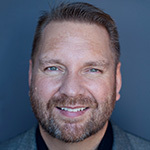 Knowing both the explicit rules of engagement as well as the unwritten social rules, helps marketers become more useful and productive with the social media marketing efforts and save themselves from what could be pretty embarrasing moments. To get more insight on the book, Tamar has a good intro post on her blog, Techipedia. Find other great books on social media marketing here.